Almost ten years ago I began a careful, slow read through Aristotle’s Nicomachean Ethics . I enjoyed the experience and found that its rewards stayed with me and continue to bear fruit in how I consider and wrestle with ethical and other philosophical problems today. Aristotle considered his Ethics to be merely a prequel to his Politics , so it’s strange that I’ve waited until now to try to tackle that work. In part also, I remember how much work it was to give the Ethics as much attention as it deserved, and I had a hard time clearing enough else off my desk to make room for it. And in part I wondered if it would be a let down. Things have changed so much since Aristotle’s time, particularly in the realm of politics, as city-states have been overtaken by nations and multi-continental empires, and as population has ballooned such that the biggest city-state in ancient Greece would only qualify as a middling city in a small state in a small nation today. Might it be that Aristotle would end up having little to say worth hearing? Wouldn’t I be better off reading someone more modern? But it may be that studying the governance of smaller groups of people is important right now. Nation-states and empires seem to be tragic failures — the United States in particular is well past its expiration date and is only growing more sour and stinky the longer we let it sit in the fridge — but somehow or other we have to coordinate and solve problems collectively. It may be that disintegrating nations into their smaller-scale components is part of the path forward. I’ve also come to be more curious about how small-scale groups — ones that have no ambitions of governing people — govern themselves and establish and maintain their cultures: non-governmental organizations, religious communities, fraternal orders, mutual aid fellowships like Toastmasters or Alcoholics Anonymous, and so forth. If, as the anarchists hope, we are to “build a new world in the shell of the old,” it will probably be groups that have some resemblance to these that do much of the heavy lifting. Maybe Aristotle’s idea of politics can help us there. As in the Ethics , in the Politics Aristotle is writing practical, not merely descriptive, philosophy. 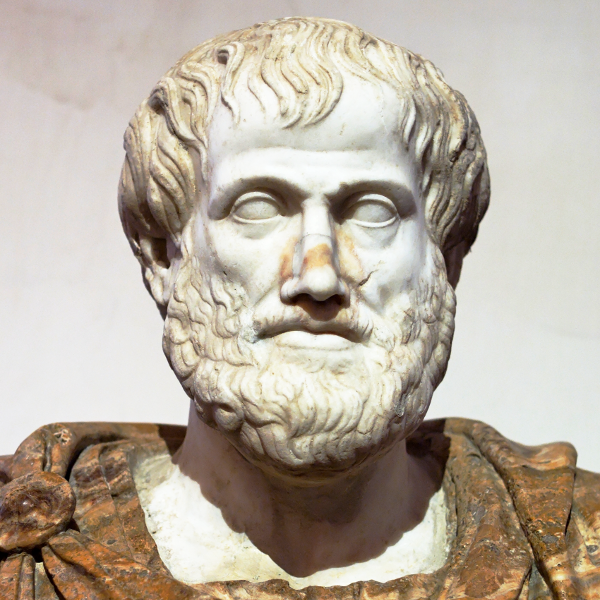 In biology or mathematics, the philosopher is trying to explore and find patterns in the way things are, but in ethics or politics (in Aristotle’s time), the point is to learn how to do things well. In the introduction to William Ellis’s translation of the Politics ( 1912 ) he writes that “[t]he Greeks thought administration should be democratic and law-making the work of experts” in contrast to modern liberal democracies in which “[w]e think… of law-making as the special right of the people and administration as necessarily confined to experts.” It apparently wasn’t uncommon for a political group in Greece to come to the conclusion that they were doing things all wrong and that they needed to call in the experts to redesign their political system for them. Aristotle’s Politics is in part a course designed to train such experts to be ready if their expertise is ever called on in this way. The history of Greek city-states, their wars and intrigues and political churning, was well-documented, and many good histories have survived to the present day. In addition to such documentation, Aristotle pursued a research project of collecting 158 constitutions of various states with a view to examining them for their strong and weak points. As with the Ethics , what we have in the Politics is not a polished work as Aristotle would have written it for publication. There are various theories about the nature of the text we have. It may have been assembled from a combination of shorter works on certain political themes, combined with or interlaced with his marginal notes or with the notes taken by those who attended his Lyceum lectures. I’m working with the Thomas Alan Sinclair translation ( 1962 ), as revised and annotated by Trevor J. Saunders ( 1981 ), but I’ll probably dip into other translations if I get confused or need to check if there’s a consensus of translators. I plan to go through sequentially, writing up my impressions along the way. This is my first read-through and so I’m bound to misunderstand things or get confused about things that Aristotle clears up later in the text. Aristotle was Macedonian. He attended Plato’s Academy in Athens for about twenty years. He returned to Macedon for a while, in part to tutor a young Alexander the Soon-to-Be-Great, and then went back to Athens to found his own school, the Lycaeum. Though he spent most of his life and career in Athens, he was never an Athenian citizen, but more of a resident alien, with few political rights (he could not own property, for instance). Indeed throughout his life he was never a fully-fledged citizen of any Geeek polis. Citizenship in Greek city-states was usually limited to a minority of adult males. It included more responsibilities than the more passive matter-of-fact citizenship that is typical today. And it usually assumed that those who were citizens shared common goals, a common outlook, and a mutual interest in the success of the polis. Less like the partisans angling for power of today, citizens then were more like shareholders or board members of the political corporation, with a common desire for and criterion for its success. Greece was a region that for geological and other reasons had been politically organized as multiple independent city-states. These would often form alliances and sometimes centrally-governed confederations (particularly in times of war). Some developed colonies, both as ways of finding new agricultural land (Greece itself was not well-stocked) and as ways of giving a restive underclass something to do at some distance from the ruling class. There is a reference in the Politics to the assassination of Philip Ⅱ of Macedon, which happened in 336 BC. So we know that at least some of the work was composed after the expansion of the Macedonian empire under Philip Ⅱ which resulted in its dominion over Athens and much of the rest of Greece, subordinating the many city-states to a foreign empire. As a Macedonian and tutor to Alexander (who followed Philip Ⅱ as the Macedonian emperor), Aristotle was well-placed to be in the good graces of the political leadership of his time… until Athens challenged Macedonian power towards the end of Aristotle’s life, and he went into exile from Athens to avoid the possibility of being attacked by Greek patriots. In my next post I’ll begin a slow, careful read of the Politics .